This article was first published by GR in January 2016. A former Goldman official who is not even a British citizen currently runs the Bank of England. How convenient… Goldman Sachs has inside information from within the Bank of England which it can use to speculate in the money markets in anticipation of the Brexit Vote. A “six sum figure”! You mean the same as the annual bonus for just one single employed trader sitting in front of a screen? Shouldn’t that figure have seven or eight digits not six, to cut any ice? Goldman Sachs and JPMorgan are making large donations to the campaign to keep Britain inside the European Union, sources said, highlighting the concern among some of the world’s biggest banks over the impact of a British exit. Or is the report just a banking in-joke to raise a smile during a winter week of plunging global markets, index turmoil, thousands of refugees on the move and a $28 oil price? Might raise a wry smile in the City of London but that’s merchant bankers for you – always ready to crack a joke, and always profitable, whatever the economic or political weather. However, the obvious implication of this reported derisory offer must be that the bank actually prefers Britain out, not in. 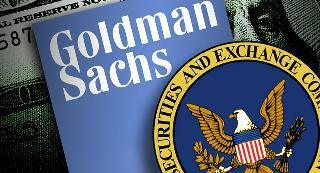 And, of course what Goldman wants, Goldman always gets. Which must be a bit worrying for Mr Cameron and the British government who thought they were running the country.